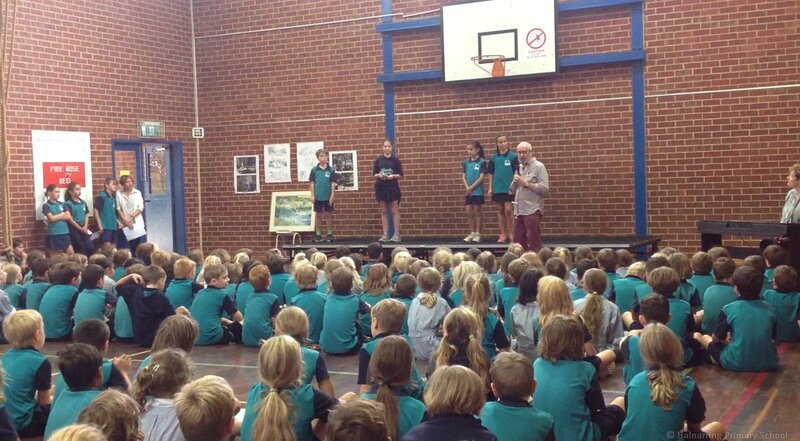 School Assembly is held fortnightly in the school gym, on a Friday afternoon at 2.15 pm. Parents are most welcome to come along! It is a very enjoyable occasion for all members of the school community! It is an opportunity to acknowledge sporting, musical, artistic, academic and behavioural achievements both in and out of school; to showcase talent within the school with an individual student or small group entertaining the audience with a musical performance and for a class to present an item focusing on their classroom learning. The School Captains feature when they role-play an important safety or wellbeing message! At the end of the Assembly, the school community pledges the ‘Balnarring Way’ to one another, which is quite a moving experience! Afterwards, parents are welcome to have tea or coffee and visit the community market stall which sells products from the school garden and is run by the children.